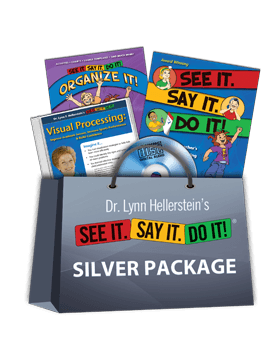 This high-value collection includes Dr. Hellerstein’s seminar; her pioneering books on using the SEE IT. SAY IT. DO IT!® process at school and home; and a bonus certificate for a free consultation. 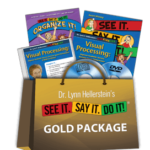 Visual Processing & Academics: New Strategies for Improving Reading, Spelling & Creative Writing Skills – 5.5 hour seminar , your choice of CD or DVD media. Be the first to review “SEE IT. SAY IT. DO IT!® Silver Package” Click here to cancel reply.